This special plane will put a 1/8" radius on sharp corners faster than a router! 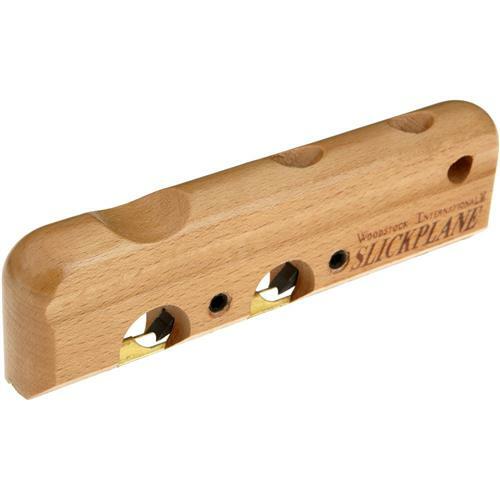 Two carbide-tipped blades are micro-adjustable and produce an unequaled finish! Body is made of hard rock maple and is virtually indestructible. Comes with 1/8" radius blade. Nice little plane to a quick little radius edge. But like with all planes the grain run is a big factor. This thing split apart at the set screw and since it is past the cheesy warranty period it's just a piece of junk now. 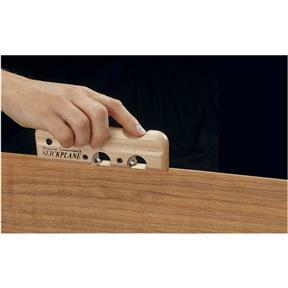 This Slickplane is excellent for creating a small radius to soften the edge of table legs, corners etc. Hard to beat for the price. Haven't had time to use this yet but glad I bought it at a great price. great for rounding over corners of boxes and frames.